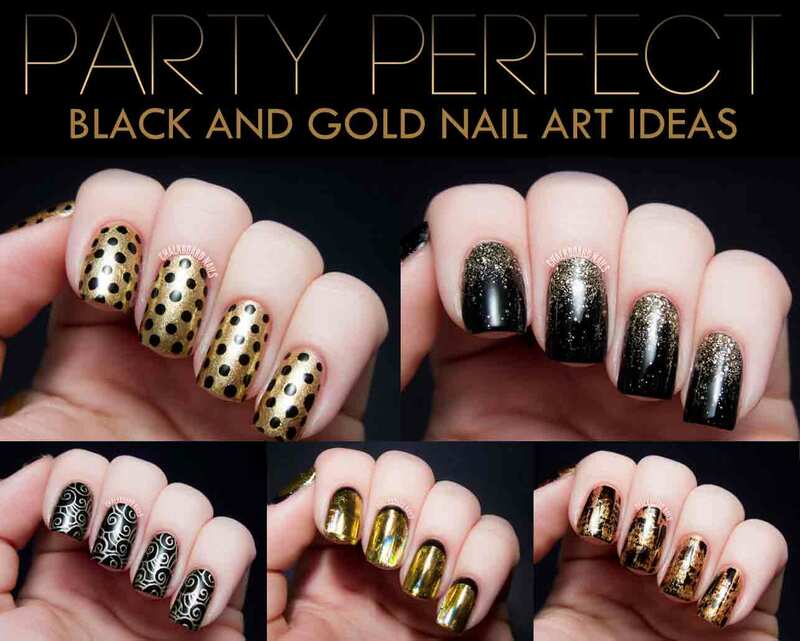 Party wear dresses are must haves in girls or women wardrobe because party and wedding season is on all the year long in Pakistan, women and girls always confront questions like what to wear on an up coming event? To help all those ladies who are going through such situation latest designer Pakistani party wear dresses 2017 for women is here to resolve such problem. In this article you can find stylish party wear dresses 2017 for parties, formal occasions, weddings and get-togethers. 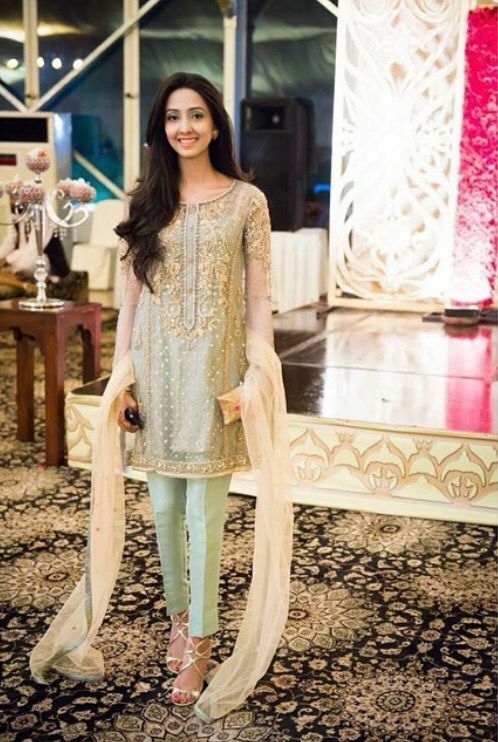 When it comes to Pakistani formal dresses, semi formal dresses, evening wear dresses or party wear dresses ladies usually have many options to style differently for a particular event such as shirt with cigarette pant or capri, embroidered short shirts, jacket or gown style dresses, frock or peplum style dresses. We see many shifts in clothing trends each year like last year shirts lengths gone short as compared to long shirts, likewise long frocks trend turned to short frocks another major trend was the cape with straight pant that is still trending at various designer shops.When it comes to party dresses, there are various new style dress options that you can go for for example short frocks or peplum style dresses for formal events, jacket style dresses, embroidered short shirts, lehenga choli and saree for evening wear etc. 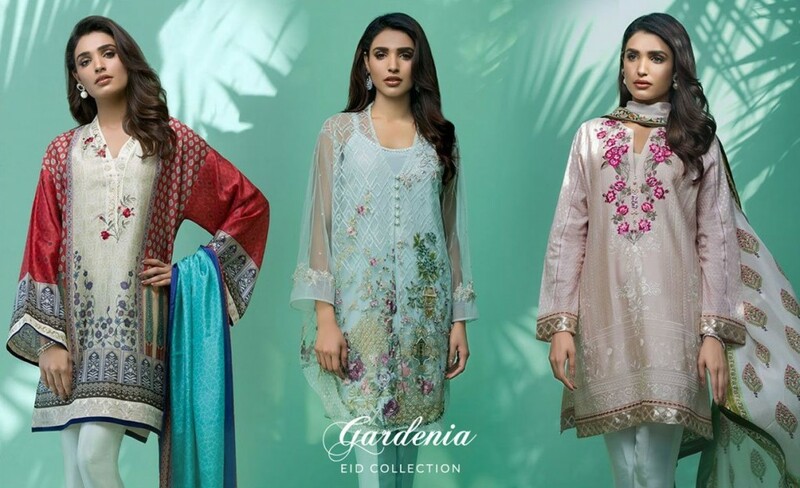 In Pakistani fashion industry various leading fashion designers are working hard to produce trendy and stylish ensembles to cater the needs of modern ladies in Pakistan. 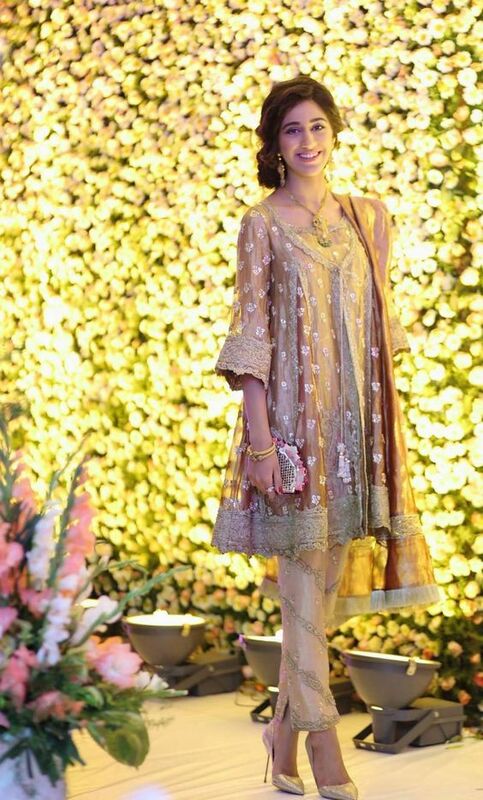 If start counting number of dress designers in Pakistan it will take longer so I am giving a list of most popular fashion designers below who are making Pakistani women a new sense of looking adorable. 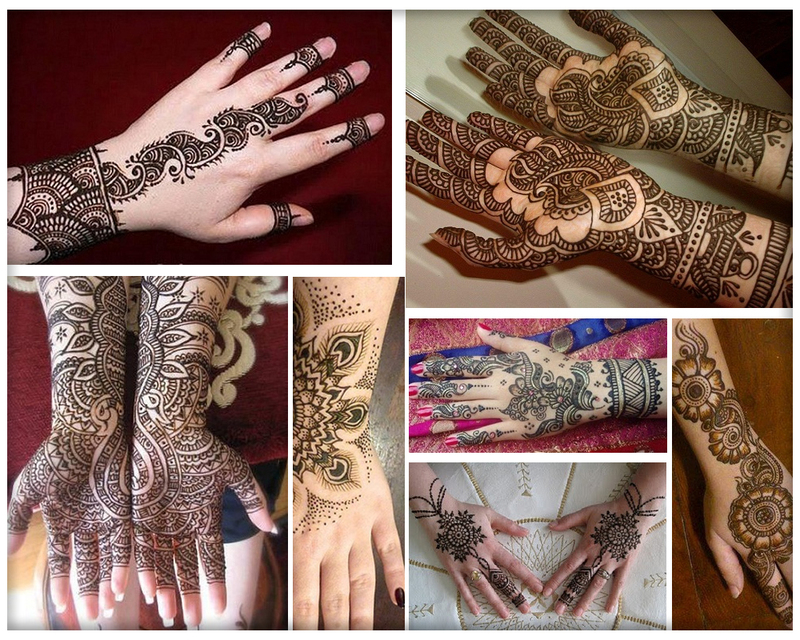 Have look on most popular designers who are making casual, eid wear dress collections, luxury pret, party wear, formal, semi formal, bridal wear and wedding wear attires in different styles. 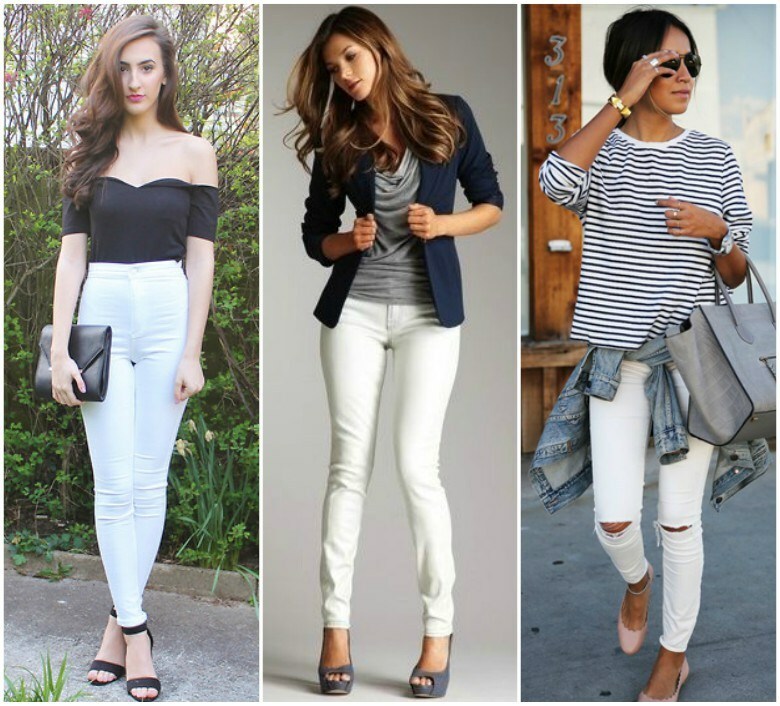 Short A-line and peplum is the top trend this year in Pakistan that look out of the world with boot cut and bell bottom pants. 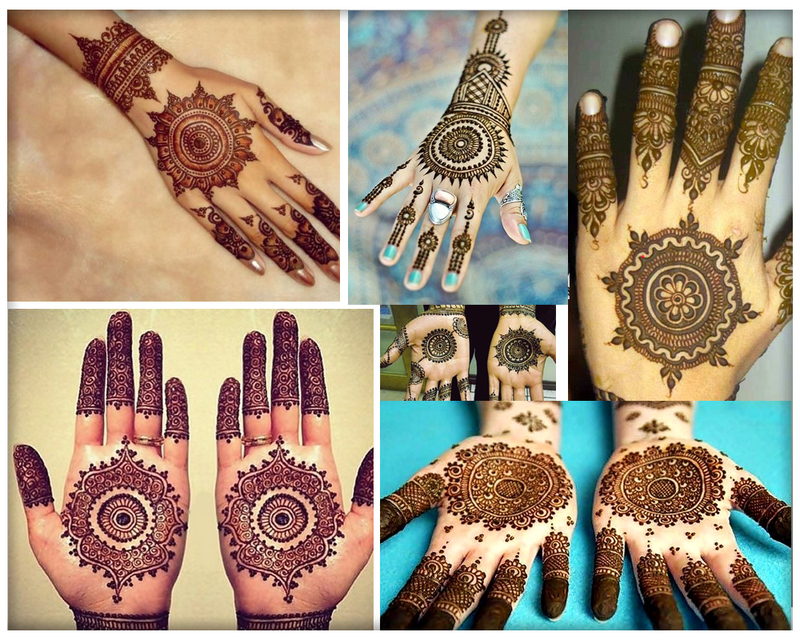 So if you want to look out of the world this style is the latest trend for celebrating eid, semi formal and formal events. Check out here latest frock designs 2017 pictures. Short shirts with cigarette pants and capri is one of the major trend this year that could be best option for any semi formal or formal occasion. You can achieve exotic looks by pairing a beautifully printed or light embroidered shirt with pants for any semi formal event. This year many new styles of trousers have shown on designer fashion shoots but cigarette pant or capri seem to look classically stylish with latest short shirts. Heavy embroidered shirts in short length is another major style option when you want to look traditional and modern at the same time. Embroidered shirt is something that gives luxuriously royal statement if done professionally, because with embroidered shirts you have to style and make wisely. Below can explore latest embroidered shirt designs images to get new dress ideas for any coming event. 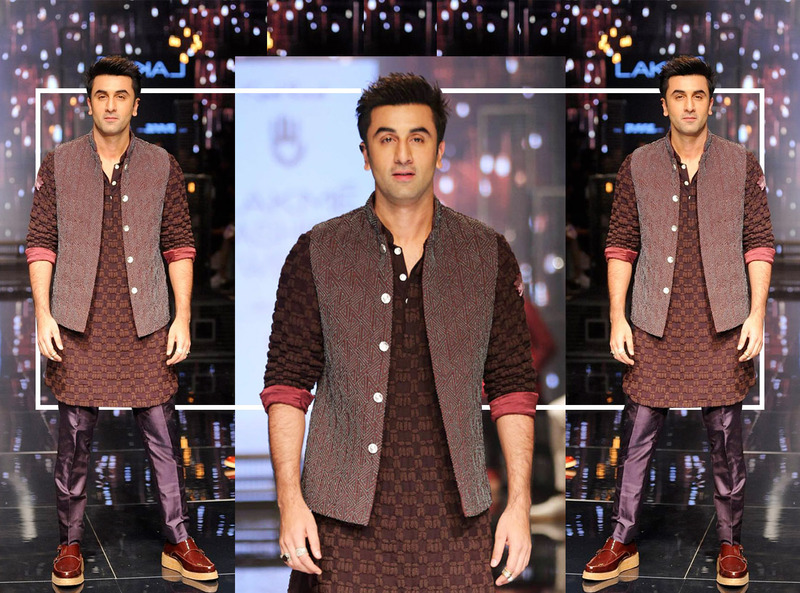 Another hottest trend is short shirt with tulip shalwar that came in fashion last year and continues for this year as well. 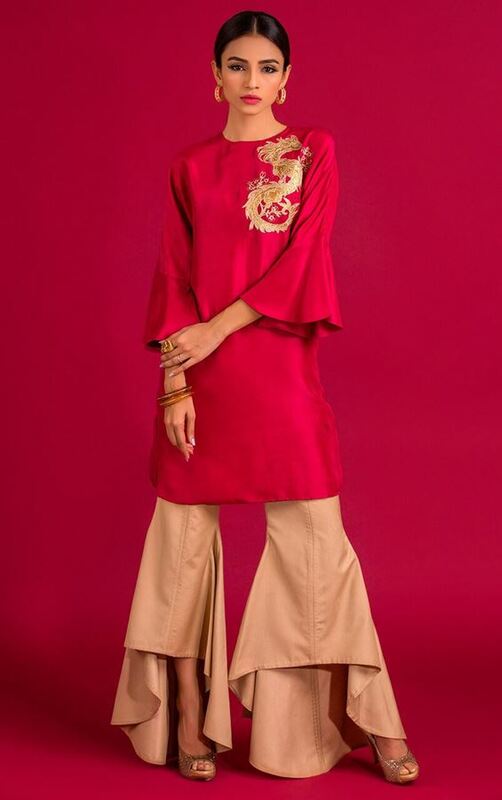 In last years trend of shalwar was faded to revive the shalwar trend again designer has introduced tulip pant with short shirt that looks perfectly eastern. 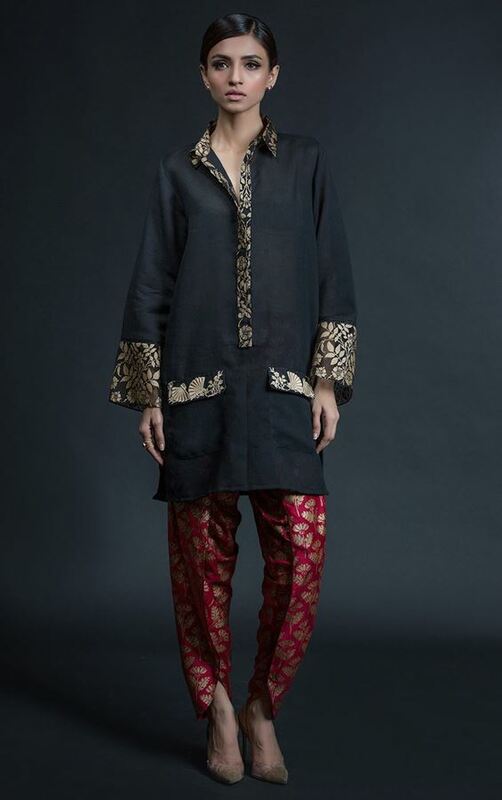 This year embroidered tulip pants are seen with designer shirts and high low frocks. Below you can get more ideas by scrolling down short shirts with tulip pants pictures. If you want to achieve truly traditional look for any event wear short shirt with sharara pant, promise you would look stunning at any evening. 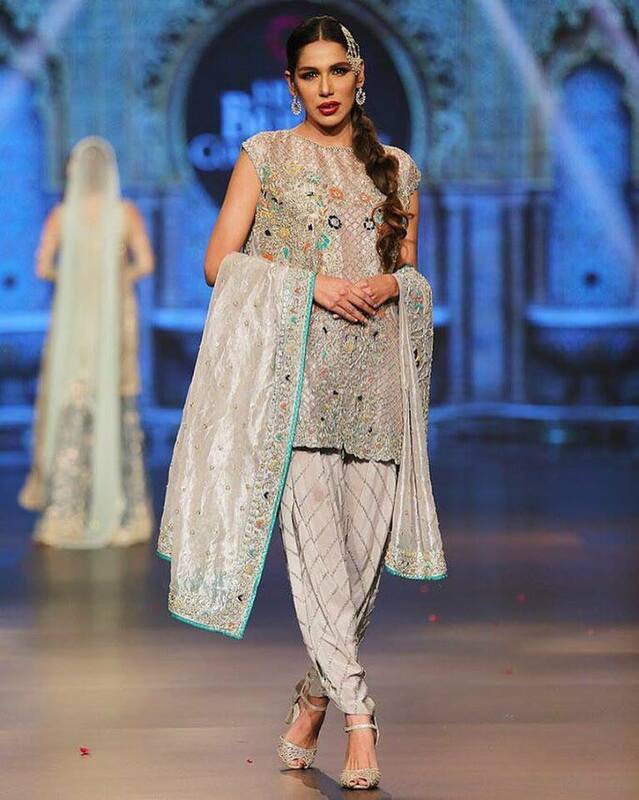 You can acquire magnificent look by pairing short frock or short shirt with sharara pant for events like mehndi, barat and even for eid.